Roger, I wish you Good Luck and best wishes for the future. I have so much to thank you for, But this does not seem to be the time or place. Edit by Dave - with link directly to Roger's post, and my follow-up. 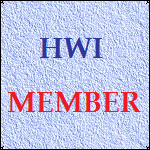 Thank you for all of your valiant efforts on the 'HWI' Website and Forum over the years. All the very best Roger. You will be sadly missed here. Hey Roger I hope things are ok. we will miss your attention to the forum as well as to to the little details that go unnoticed by all. Thank you for all your hard work and dedication to this forum and to Hayley. Wow. I'm quite shocked. It's all so sudden! I hope, Roger, that it's not too serious. I wish you happiness and luck for the future. I hope to still see you at all of Hayley's concerts. You will be missed here. Thank you for all of your hard work, and for all of the generosity you have shown me in the past. This decision is as much a shock to me as it is to you. Let us all continue to support the site, and Hayley, as vigorously and honestly as we have always endeavoured, and to continue Roger's legacy to our best ability. I'm sure all members will agree that your time and hard work on the forum, has been greatly appreciated. Thank you also for all your help and assistance you have given to me during my time on the forum. This is a very sad day for HWI. Roger, this has come as a very big shock to all of us. I must thank you for everything you've done here at HWI, and I wish you all the best for the future. I hope we will all continue to run HWI as the best fansite for Hayley. I am deeply shocked to hear that you are no longer at the helm of HWI though I know through your love and respect for everything that HWI stands for, that you will not have taken the decision to step down lightly. I too hope that we will still see you at concerts as I count you as a very special friend and one of the many I have made through this amazing forum. I find it hard to imagine HWI without you, but I know it will go on and continue it's support of all things Hayley. This is one of the last things I had expected to see when I logged on and it has certainly come as a big shock. Although saddened, I respect your decision as i know that it wouldn't have been taken lightly. Not only have you been very freindly and welcoming and form gatherings, I have also had the pleasure of working with you on the AAI forum and I would like to thank you for all of your help and advice when handing the forum over to me. Finally, thank you for all of your hard work and dedication here on HWI, you have played a massive part in making the forum what it is today and although you will certainly be missed, I am sure the forum will continue to grow stronger. I'm fairly new here so I have not had much opportunity to interact with you. From the response to your announcement, it seems that you have made a tremendous contribution to this forum and will be greatly missed. The best of luck to you in the future. Wow, what a shock it was for me to read Roger's post. I would just like to say a big Thank You to Roger for all his help during my time here and I wish him all the very best for the future, it was a pleasure meeting you last year and I hope you'll still continue to visit here from time to time. I am shocked and saddened by your decision. Like those who have posted above I have only admiration for the way this forum has progressed under your stewardship. I hope we will see you at future Hayley concerts. Wishing you good luck in the future. It was with great sadness that I read your post!